OUT NOW!!! 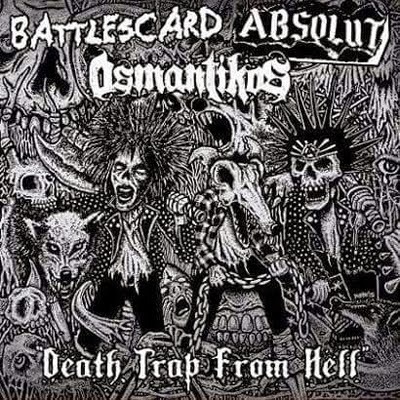 "DEATH TRAP FROM HELL". 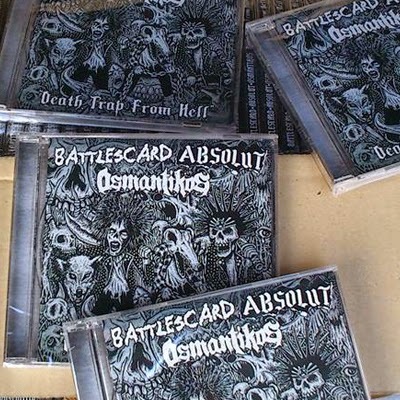 It's a 3-way international hc/punk split CD featuring: ABSOLUT (Canadian powerhouse of D-beat mayhem) / BATTLESCARD (Japanese rock n' roll motorcharged) / OSMANTIKOS (Malaysian hypertension crustcore). 15 songs of DIY hc/punk madness. It's yours for RM12 + postage (Malaysia) and 8USD + postage (rest of the world). Distro & labels do contact for cheap wholesale. Email at bullwhiprecs@yahoo.com for details.